Do you want a boiler service company that’s reliable? At Combi-Nation, we have years of experience in providing profession and thorough heating solutions throughout Southampton. At Combi-Nation, we cover all aspects of installation, maintenance and service for all gas boilers in Southampton. Make sure your boiler is working to its maximum potential, and contact Combi-Nation today. Having a working boiler is a vital part of being comfortable at home and at work. During the long, cold winter nights, having a warm house is essential. Making sure that your boiler is consistently working to its full potential is also an important aspect, so at Combi-Nation, we supply a thorough and detailed boiler maintenance and repair service. Our team is available 365 days of the year, so if you ever have a gas boiler related emergency in Southampton, we will be on your premises as soon as possible. There are many different types of boilers on the market. At Combi-Nation, we specialise in two different types of gas boilers; the combination boiler and the condensing boiler. Combination boilers have quickly become the most popular gas boiler in Southampton and the rest of the UK. 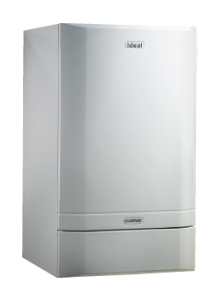 This boiler type has a combined water heater and central heating boiler, therefore making it very compact in size without losing any of the boilers heating ability. These boilers are incredibly reliable, easy to install, and economical to run. Combination gas boilers produce hot water instantly, reducing the water waste so you don’t have to run the tap for ages to get the temperature you want. This boiler is the perfect option for homeowners who want to reduce their energy bills. A condensing boiler uses the heat from the gases that would normally be released into the atmosphere and transfers these gases into liquid condensation that is then heated. A condensing boiler is a smart investment to reduce emissions and fossil fuel usage. This boiler will heat up your water and radiators at the same time, meaning condensing boilers are up to 91% efficient. At Combi-Nation, we will survey your site before installation of the condensing boiler, to determine the ideal location. Our company is part of the Business International Group, which represents world-renowned companies who use state-of-the-art solutions in key industry areas, such as health, industrial chemicals, and laboratories. All of our members of staff are expertly trained, with years of experience in the domestic and commercial heating solutions trade. For dependable and hard-working gas boilers in Southampton, and gas boiler servicing, contact Combi-Nation today on 023 8077 5666.